Bhubaneswar: Odisha Chief Minister Naveen Patnaik on Thursday announced that Japan will be the country partner for the Make in Odisha Conclave-2018 scheduled to be held in Bhubaneswar in November. “This will provide new impetus to the relations between Odisha and Japan and open up varied sectors for collaboration,” the CM said. 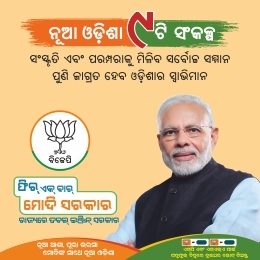 This announcement comes on the back of dialogue between Odisha and Japan since the Odisha delegation’s visit to the country in October last year. 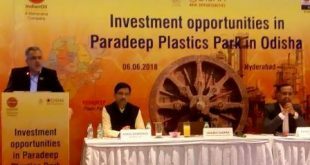 The state delegation led by Minister, Industries is also visiting Tokyo later this month to take the conversation with prospective Japanese investors forward and showcase immense investment opportunities in Odisha across all the 6 focus sectors – food processing & seafood, chemicals, plastics and petrochemicals, ancillary and downstream industries in the metals sector, electronics manufacturing, textiles & apparel and tourism. 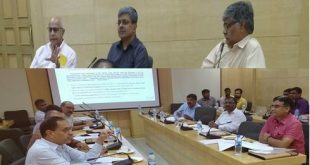 State Bank of India (SBI) as the Banking Partner intends to introduce a slew of products and services to cater to not just the financial needs of large corporates but also Micro Small and Medium Enterprises (MSMEs) and Self Help Groups (SHGs) who are the main drivers of job creation in Odisha. After Mumbai, Chief Minister Naveen Patnaik would attend an investment roadshow in New Delhi on Sept 12 to showcase Odisha’s investment potential and business ecosystem. Business leaders drawn from 300 companies participated in the Mumbai roadshow to explore investment opportunities in Odisha. The Chief Minister invited them to participate in the Make in Odisha conclave scheduled to be held in Bhubaneswar from November 11-15. 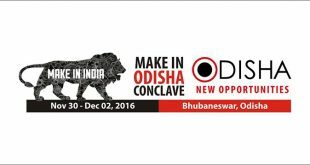 BJD says Jagi Panda behind CII’s withdrawal from Make in Odisha Conclave!